Personalized services that honor the life & memory of your loved ones. Ultimate Cremation Services of Hawaii has had the honor and privilege to serve the Hawaii community for the past three decades. We have built a reputation for excellence, respect, & fairness because of our dedication to providing families with affordable cremation services & personalized memorial celebrations that honor the memory of their loved ones. Over the past 30 years, we have helped thousands of families find a fitting way of remembering those they love. We are proud to serve our community and be the people you trust with your final aloha. Starting in 2019, we will transition into a new phase of our business. We will shift our focus to providing consulting & memorial event planning, military & ocean services, and locally crafted urns. While we will no longer offer cremation services, our commitment to providing respectful and highly personalized services, and assisting families with information, direction, and support will remain the same. We are always working to provide new and unique offerings to our clients. If you would like to be notified when new services become available, please subscribe with your email address below. Thank you. We are always working to provide new and unique services to our clients. We will notify you when new options become available. In the meantime, please contact us with any questions you may have. We specialize in creating personalized memorial and celebration of life services that properly honor the life of your loved one. After 30 years in business, we have developed relationships with the most reputable vendors and businesses in the state of Hawai’i. Each company is hand-selected by our staff because of the quality of their work and care for our clients. Our consultant will meet with your family to understand your needs and desires, and work to bring all of the elements together for a unique service. We focus on adding those personal touches and encourage memories of cherished times together. Click to learn more about our range of services. Our staff works directly with the Veterans cemeteries to arrange and facilitate memorial services for veterans of our armed services. We are proud of our Military and consider it an honor to help their family members and friends say their farewells in a service that pays tribute to their sacrifice and dedication to our country. 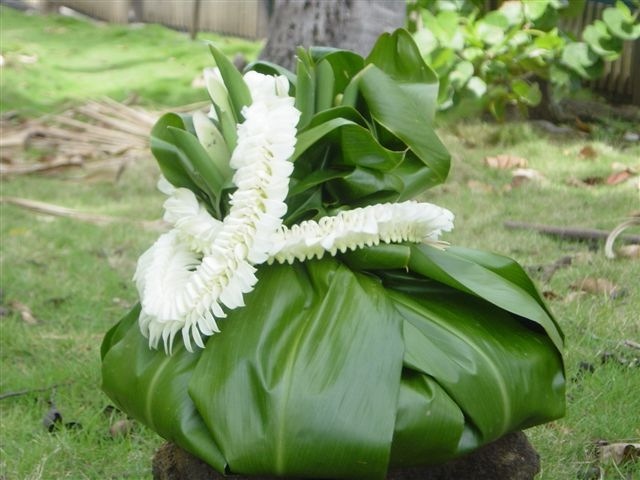 For over 30 years, we have helped families and friends remember their loved ones with ocean-side services and scatterings off of the beautiful shores of O’ahu and the neighboring islands. Whether your family member envisioned a sunset catamaran service, canoe scattering, or celebration of life on surfboard, our staff is here to help you bring that vision to life. To properly honor the memory of ocean-loving individuals, we ensure that our scattering and beach services leave minimal impact on the environment. We use materials & practices that are sustainable and good for the environment to ensure that the ocean your family member/friend loved so dearly continues to be safe and healthy for generations to come. We specialize in providing urns that are hand-crafted by local artisans to support our community, as well as those that are created using sustainable materials & practices. Our online store is coming soon. In the meantime, contact us for details.